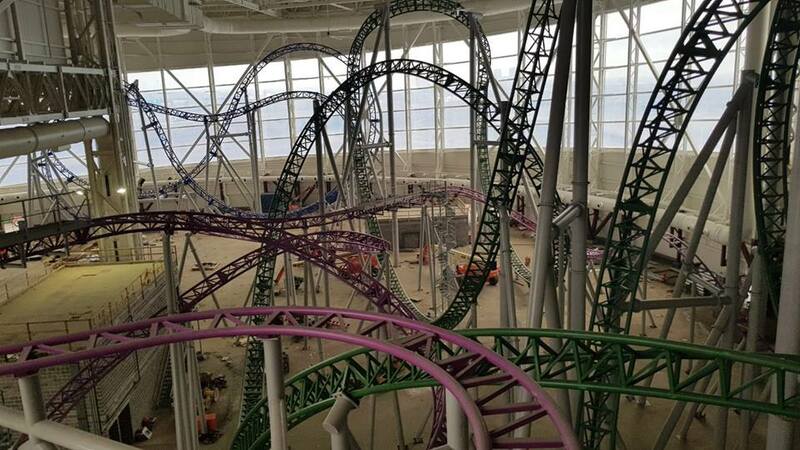 Coaster construction at Nickelodeon Universe Theme Park at American Dream New Jersey is in full-force. After almost two decades of wondering whether the American Dream super-mall would ever open, we're getting to the point where it feels like it actually will be finished. The most exciting part is some interesting images that have surfaced of the new Intamin launch coaster that will be opening within the Nickelodeon theme park inside the mall. 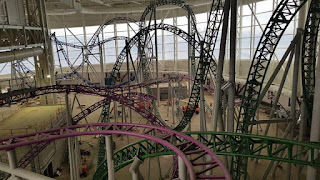 Ride Entertainment shared photos of the work at American Dream Meadowland's theme park. 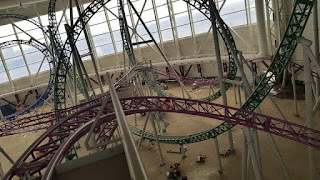 The interesting part of the picture is the new compact Intamin ride in the rear of the picture. It shares similar qualities to a Premier Rides Sky Rocket model. Below another image shows off the layout a bit better. The ride seems to have magnetic launch/brake fins at the bottom of each valley, a design that we have not yet seen before. The American Dream Nickelodeon Theme Park is set to be open this year after numerous setbacks.